The time has come: Barack Obama is now former President Barack Obama. Donald Trump has been sworn in as the new President. Uncertain times lie ahead. As the country transitions, the official POTUS and FLOTUS Twitter accounts have also been switched over to President Trump and First Lady Melania Trump. Don&apos;t worry though, you can still follow Barack and Michelle Obama on Twitter going forward. 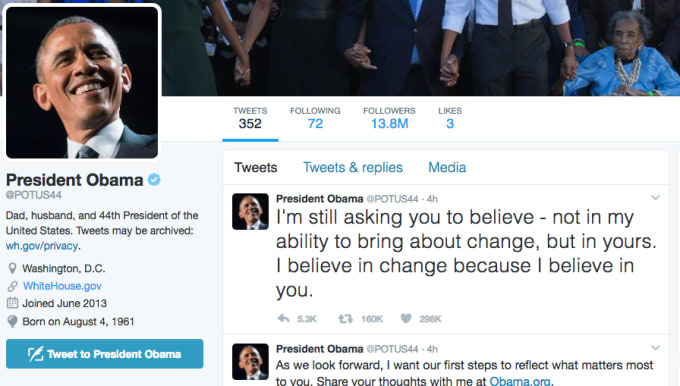 Obama&apos;s account has officially been switched over to @POTUS44 while Michelle&apos;s is now @MichelleObama. 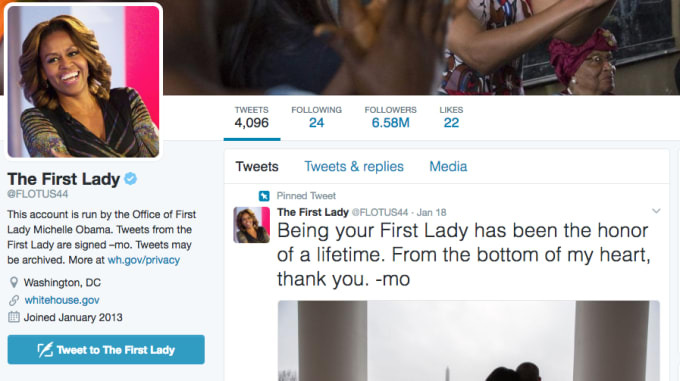 Michelle also has the @Flotus44 Twitter account, though it&apos;s unclear which one she will use more in the future. Neither have tweeted since Trump has been sworn in, and reports have stated that the former POTUS and FLOTUS are about to jet off to Palm Springs for some much-needed rest and relaxation. 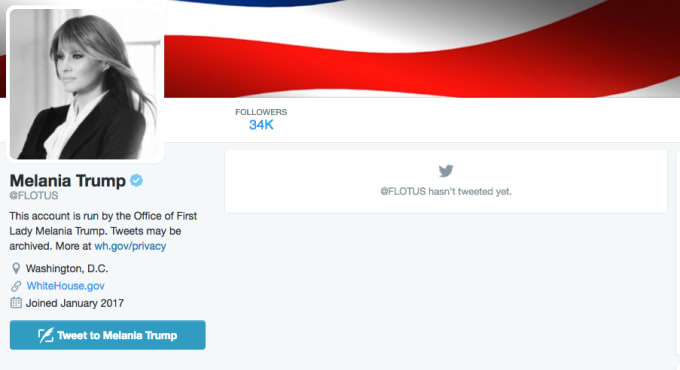 Neither President Trump nor First Lady Melania Trump have tweeted from their new accounts, though as we all know Donald, we&apos;re sure that will change soon. Of course, Trump has since tweeted from his old account. It&apos;s not known when he plans to switch over, if ever. Former Vice Preisdent Joe Biden&apos;s account has also shifted over from @VP to @VP44, while Vice President Mike Pence is now @VP. Surely, this will be tough to get used to, as with plenty of other things going forward. 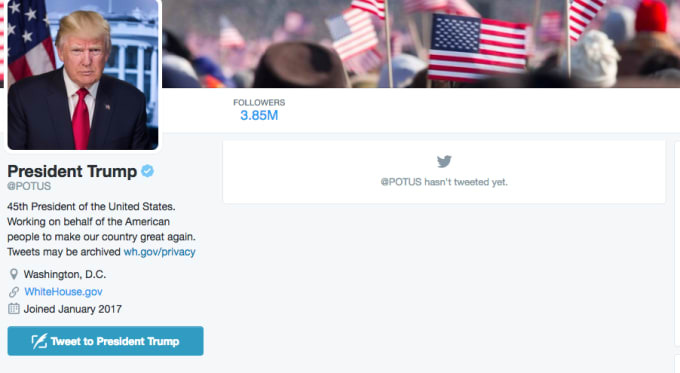 Side note: if Trump&apos;s Twitter background looks familiar, it&apos;s because it&apos;s from Obama&apos;s inauguration in 2009.